Creative problem solving provides you the ability to resolve current problems and identify future problems to prevent them. To develop your creative ability to solve problems, consider Creative Problem Solving Training Course delivered by pdtraining in Atlanta and other U.S. cities. Psychologists and business people alike have discovered that successful problem solvers use the same types of processes to identify and implement solutions to problems. 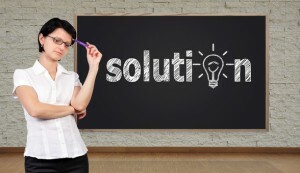 Resolving problems creatively involves analyzing solutions, gathering information, choosing an appropriate technique of problem solving, defining the problem, evaluating solutions, brainstorming, and more. Training in creative problem solving provides the participants with the understanding and the techniques of problem solving that help in the successful and faster resolution of problems and the prevention of their reoccurring. Skill development in problem solving provides quick identification of problems, finding the most appropriate solution, and prevention of problems. It drastically reduces the occurrence of major problems, as problems are identified and resolved in their infancy. Learning to resolve problems successfully helps to reduce the damage caused by the problem and ensures the maintenance of healthy relationships and the work environment. Solving problems creatively can be a crucial skill for managers, leaders and mentors, as they need to manage a number of people. Conflicts are natural and expected, but letting them damage the employees and/or the work environment can result in dissatisfied employees, negative work environment, lack of productivity, and deterioration in the qualify of work. Resolving conflicts timely and creatively is essential for the healthy growth of the employees. All public Creative Problem Solving Training courses include am/pm tea, lunch, printed courseware and a certificate of completion. Customized courses are available upon request, so please contact pdtraining on 855 334 6700 to learn more.